Being a women comes with so many blessings. Monthly visits from our “friend” I really don’t know why we call it a visit from a “friend” when having your period really is not Friendly at all. Every month when my “friend” stops by for a visit it brings me; cramps, bloating, PMS, and bleeding. Even with all of these period symptoms, I do not let that keep me down. Lets face it we can all use a little pampering. I came up with a #CycleSurvival Kit. 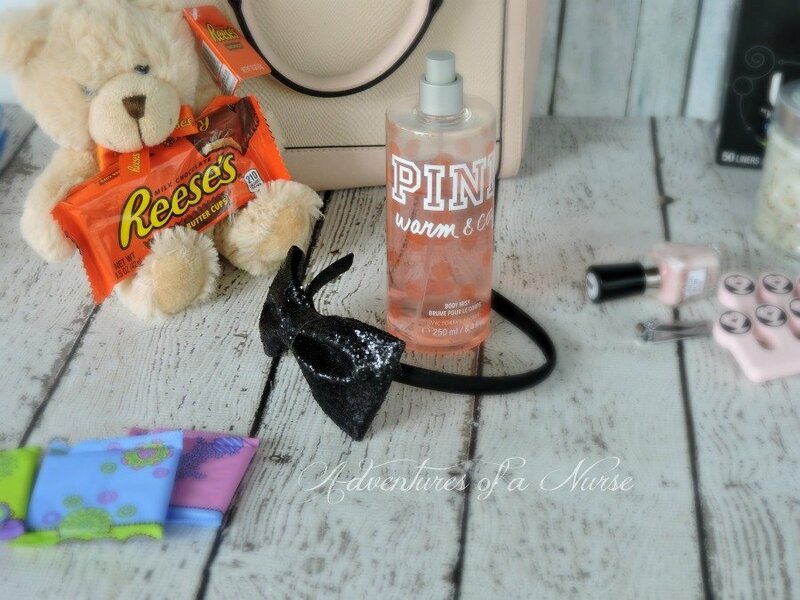 I try to pamper myself every month I keep a few things in a bag that I pull out for my “friend”. I do this all on a small budget. What do I keep in my #SurvivalKit? 1.Chocolate is a must have in my survival kit. I always crave chocolate when I have my cycle. Chocolate gives me that extra boost and makes me feel great. 2. BodySpray. Just because I love to feel fresh and smell good. 3. Pretty Hair accessories. Anything extra that will make you feel pretty during your cycle. 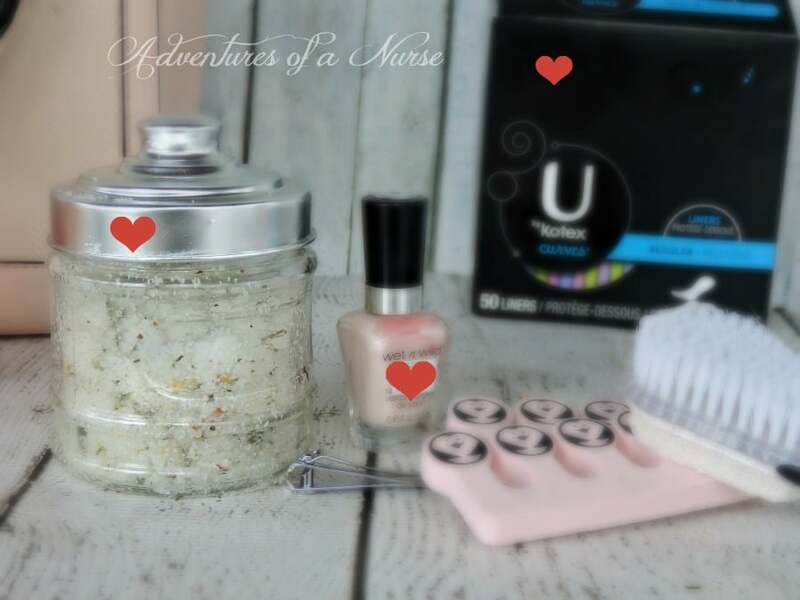 4.Peppermint Foot Scrub, nail polish and pedicure supplies. I made some Peppermint Foot Scrub. This foot scrub is amazing. It helps sooth achy feet and really makes you feel pampered. Simply Mix the salt and baby oil add 10-12 drops of peppermint oil and open a peppermint teabag and mix right in. You can store this in an air tight container for 4-6 weeks. This makes enough for about 10 uses. The most important and last items in my #CycleSurvival Kit is U by Kotex. 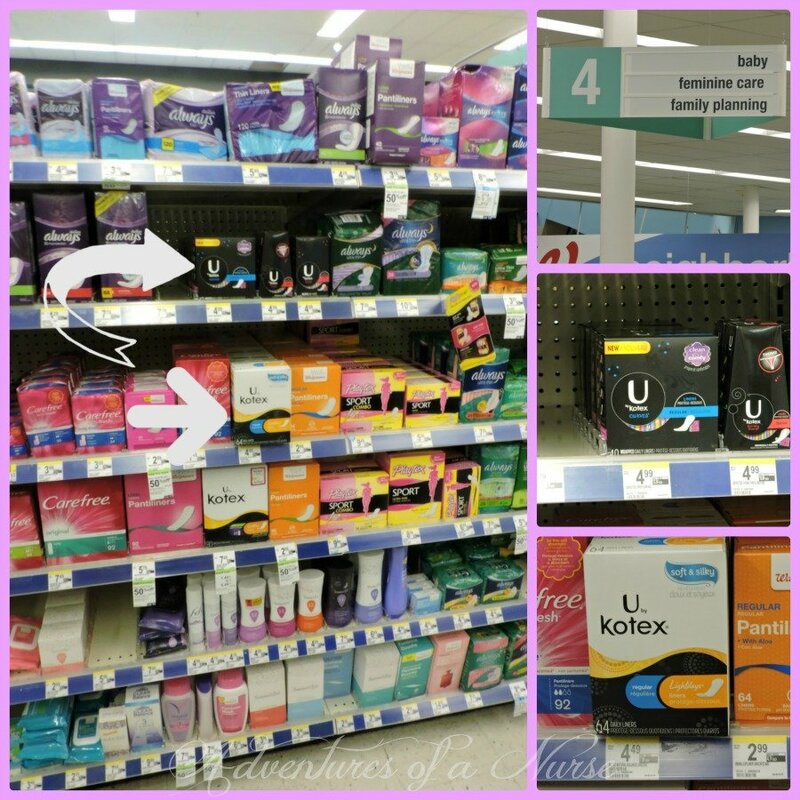 I stopped by my local Walgreens and gathered all my supplies. 5. U by Kotex Curves® and U by Kotex® Lightdays Liners. With the new technology applied in Kotex’s new pad, women can now be more confident in wearing whatever they want. Which is perfect for my #CycleSurvival Kit. Feeling confident and fresh is what is all about. What do you do each month to Survive your “friend”? 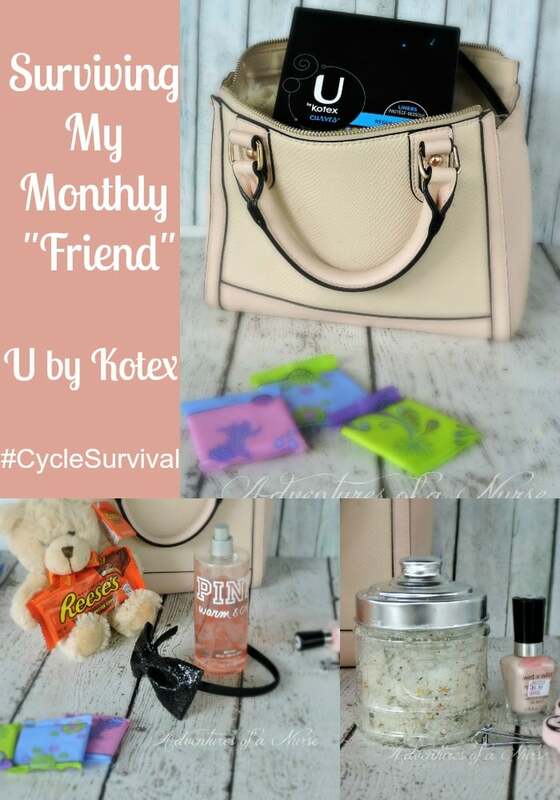 Find more great #CycleSurvival stories at U by Kotex. Next Post → #InsideOut Opens in theaters everywhere TODAY! WOW, what a great survival kit! Every girl needs one of these every month, I know, I do! Thanks for sharing this. 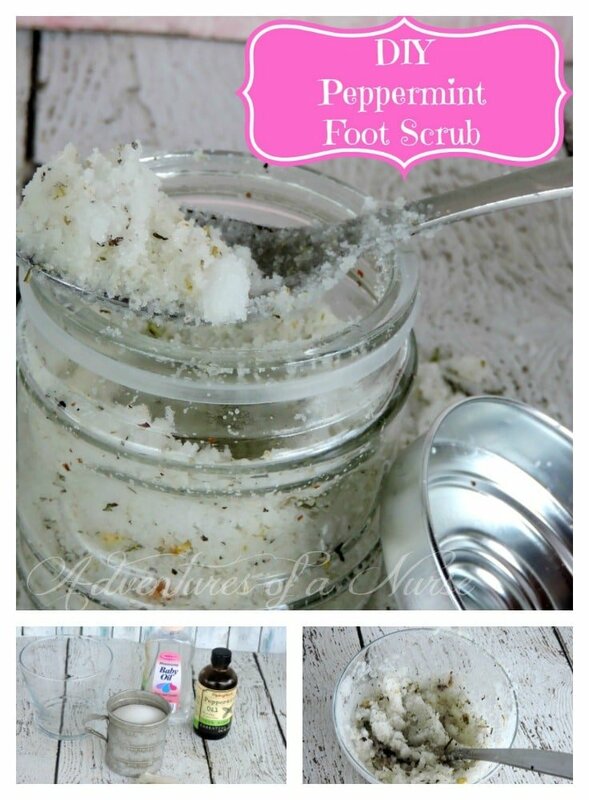 That Peppermint Foot Scrub looks awesome!